The Kingdom of Northern Lights stretches along Western Washington from Longview to just north of Seattle. The Northern Lights started out in 2003 as an alliance of lands that wished to gain kingdom status. At that time it was called the Northwest Alliance. 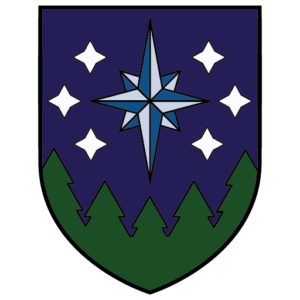 It first used the name “Northern Lights” as a principality with the sponsorship of the Kingdom of Blackspire. In 2012 the principality gained Kingdom status with a unanimous vote at the Gathering of the Clans. It was the 18th official kingdom created in Amtgard. The lands that joined the kingdom in chronological order were Inland Ocean, Shrouding Mist, Greenwood Keep, Gypsy Hollow, Dragons of Fire Valley, Mithril Hills. View the Northern Lights ORK page.